Why is Orange Juice Valuable? How is Orange Juice Produced? What Drives the Price of Orange Juice? Should I Invest in Orange Juice? What Do the Experts Think About Orange Juice? How Can I Invest in Orange Juice? Orange juice is a beverage made from squeezing the fleshy fruit of the orange tree. In many countries, particularly in the western hemisphere, it is a staple item on breakfast tables. Historians don’t know the precise origins of oranges, but Chinese manuscripts from 2200 BC reference the fruit. In the 15th century, Spanish explorers introduced oranges in the New World, and by the 19th century, orange trees grew wild in Florida. People throughout history have produced juice from oranges, but it wasn’t until more recent history that large-scale orange juice production became practical. In the 1940s, Cedric Donald Atkins invented a process for producing concentrated juice that could be frozen. Combined with the expansion of modern home refrigeration, frozen concentrated orange juice (FCOJ) brought orange juice to millions of consumers. Today, FCOJ is a popular global commodity traded on futures exchanges and part of the multi-billion dollar orange juice industry. Orange trees are grown in tropical and subtropical climates with warm or hot summers and mild winters. Although they grow in many different varieties, the two basic categories are the sweet orange and the bitter orange. Common Orange Popular varieties among the dozens of common oranges include the Valencia, Hart’s Tardiff Valencia and the Hamlin. The Valencia is the most popular juicing orange. Blood or Pigment Orange Two varieties - the light blood orange and deep blood orange. These fruits have a deep red hue. Navel Orange A common grocery orange that comes in several varieties including Cara cara, Bahia and dream navel. Acid-Less Orange Low acid fruits that are not cultivated in great quantities. Orange trees are very climate-sensitive plants and need specific temperatures and precipitation levels to thrive. FCOJ traders must carefully monitor climate conditions in key growing regions; slight changes in temperatures or rainfall can create enormous price volatility for the commodity. When they are actively growing outside of the winter months, orange trees do best in temperatures of between 55 and 100 degrees Fahrenheit. In the winter they are dormant and require temperatures higher than 35 degrees Fahrenheit. Trees are frost-sensitive and enter a danger zone if temperatures stay below 25 degrees for extended periods. Orange trees do best in areas that receive between 40 to 45 inches of annual rainfall. They can tolerate drought conditions, but they tend to produce less fruit under extended dry conditions. All citrus, including orange, must ripen on trees. The harvesting season for each variety of orange is different. Valencia oranges, which are the main juice crop, are harvested between March and July. 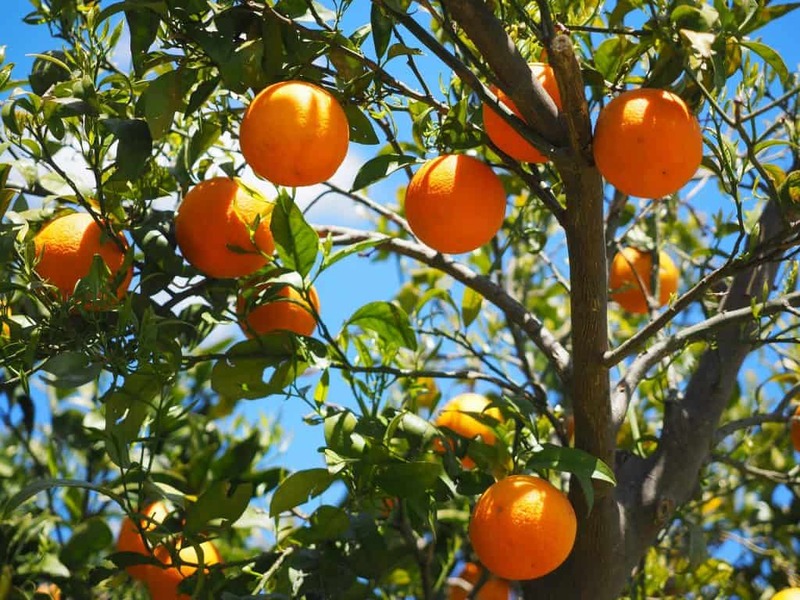 In Florida, the main orange-producing state, oranges bloom between March and April. Growers in Florida harvest 96% of the crop by hand using wooden ladders and canvas pick sacks. Mechanical harvesters pick the remainder of the crop. Pickers and mechanical harvesters dump the fruit into plastic tubs that hold about 900 pounds each of oranges. Special trucks called goats then load the tubs on to tractor-trailers that hold 45,000 pounds of fruit. Truck tractors then drive the tractor trailers to fruit processing plants. FCOJ juice competes with two other juices not squeezed directly at the time of consumption: reconstituted liquid juice and not-from-concentrate (NFC) juice. In the mid-1980s, NFC juice surpassed FCOJ in sales. However, FJOC is the easier product to store (it doesn’t perish) and ship (it’s condensed). Therefore, FCOJ remains the benchmark commodity for measuring the price of orange juice. Over 90% of oranges grown in Florida go into juice production in all forms. Unlike most other agricultural commodities, orange juice is purely a dietary staple and doesn’t have other industrial or consumer uses. Weather plays an enormous role in moving orange juice prices. Florida is the epicenter of orange juice production in the United States, and the state experiences very volatile weather conditions. In recent years, damage from hurricanes in the fall and excessive frost in the winter has decimated many orange groves. Orange juice traders pay very close attention to weather forecasts. Sometimes anticipation of bad weather, such as an approaching hurricane, can cause big spikes in orange juice prices. If the damage from bad weather turns out to be less than expected, prices can retrace back to where they started. Consumer demand for orange juice is surprisingly more volatile than other agricultural commodities. In recent years demand has been declining precipitously, particularly in the United States. There are many potential explanations for this decline. The diminishing cultural importance of breakfast and the high sugar content of orange juice are two possible reasons. However, most of the consumption declines have occurred in the United States and Germany, while emerging countries such as China, Brazil and Russia are seeing increases. Orange juice traders should pay attention to these consumption patterns as they can offer important clues about future prices. The United States Department of Agriculture (USDA) publishes estimates each October that forecast orange production for the coming year. Satellite imagery of orange groves and modern advances in estimating agricultural yields should make this number fairly predictable, but it’s not predictable at all. In recent years, forecasting errors have led to supply surprises, and these surprises can move markets. Supply surprises from Brazil, the world’s largest producer of orange juice, can also create price volatility. In fact, despite declining global demand for orange juice, prices have stayed firm due to supply shortages from both the United States and Brazil. Food safety concerns can cause supply shocks and higher orange juice prices. Growers often use chemicals and pesticides to protect their crop from insect damages. In the past, use of these products has led to bans on orange imports and higher orange juice prices. Crops in both Brazil and the United States have faced threats in the recent past from diseases that kill orange trees. Whether or not scientists are successful in eradicating these diseases could have a big impact on orange juice prices. Unusual weather patterns have had such a devastating effect on orange crops in the recent past. Many scientists attribute increased hurricane activity in Florida to global warming. Similarly some blame drought conditions in Brazil on a rise in temperatures. These weather conditions have produced supply shocks for orange juice in the past and may do so again in the future. Emerging market countries such as China and Russia have not consumed orange juice for as long as Western countries have. 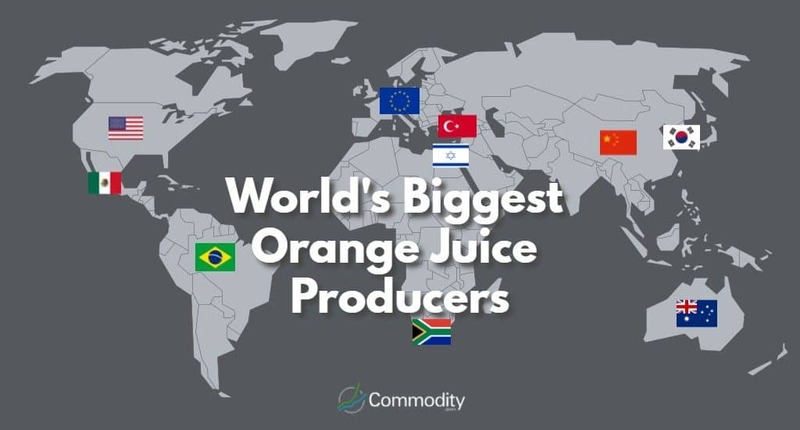 These countries have been surprising bright spots in an otherwise bleak picture for orange juice demand. As emerging market countries grow their economies, their demand for orange juice may increase. Buying orange juice futures may be a way to participate in that demand. Investing in orange juice is a way to hedge against the loss of purchasing power from inflation. Low interest rates from the Federal Reserve and other central banks have produced speculative bubbles in many assets classes. Although food remains the most basic and fundamental necessity, agricultural commodities have yet to experience significant price hikes. However, inflation has the potential to change that. Since orange juice has essential nutrients including vitamin C and potassium, it could be a food commodity that garners huge demand. Orange juice prices are extremely volatile. For the most part, industry players that want to hedge risk utilize orange juice futures. However, traders that want to speculate on orange juice prices might consider doing so as part of a diversified basket of commodities. 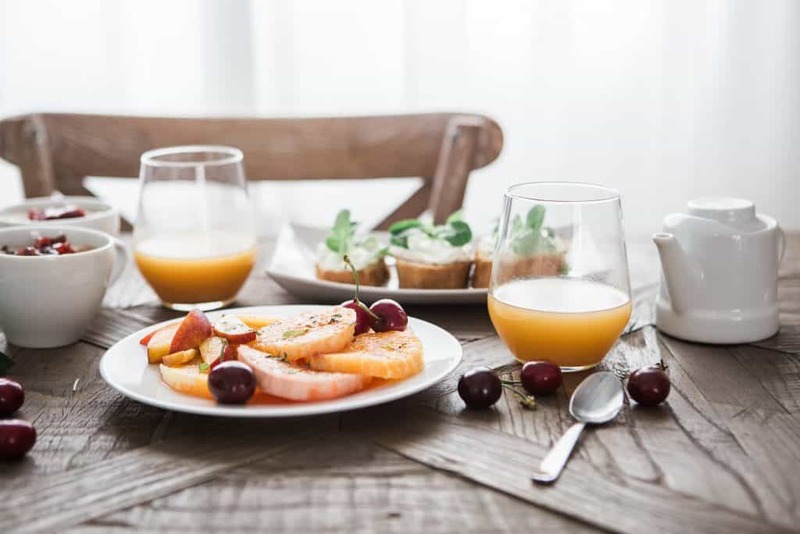 Although the demand picture for orange juice has been weak in the United States and Western European countries, there is still likely ample demand for orange juice prices to stabilize. The supply picture, on the other hand, continues to look great for traders. 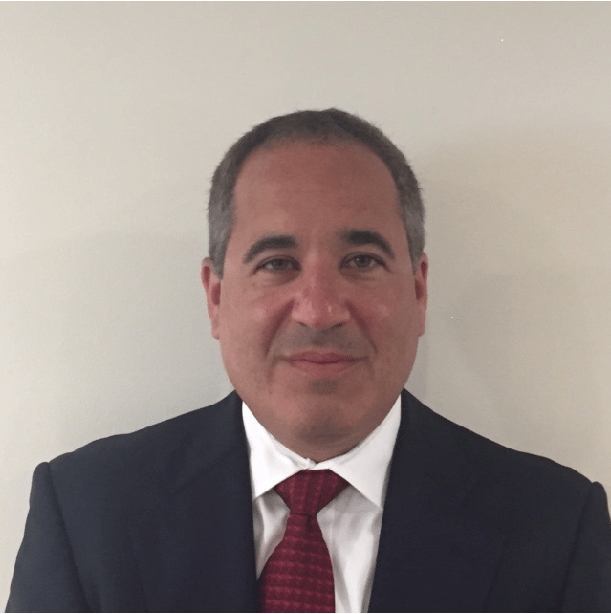 The leading producing countries – Brazil and the United States – face ongoing and seemingly insurmountable production problems due to weather and disease. Growing concerns about obesity and diabetes have put all items with sugar in the crosshairs of health advocates. Orange juice has high levels of natural sugars. Efforts to eradicate tree diseases may be successful. This could lead to bumper orange crops. Global warming may be over-hyped or not the cause of stronger hurricanes. If calmer weather patterns return to Florida, then maybe the citrus industry can rebuild. It could be pretty bad — lowest since around 1946. About 70 percent of what they were projecting is lost across the board. 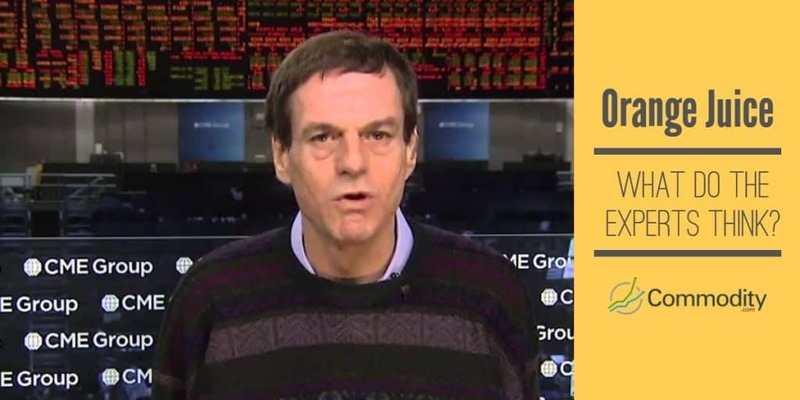 If the crop is anywhere near that small, even with the lousy [orange juice] demand outlook and things like that, we'll have a chance to push the market up around $2 [a pound]. The Intercontinental Exchange (ICE) offers a contract on FCOJ that settles into 15,000 pounds of orange juice solids. The contract has expiration months of January, March, May, July, September and November. Futures are a derivative instrument through which traders make leveraged bets on commodity prices. If prices decline, traders must deposit additional margin in order to maintain their positions. At expiration, the contracts are physically settled with delivery. The ICE offers an options contract on FCOJ. Options buyers pay a price known as a premium to purchase contracts. An options bet succeeds only if the price of FCOJ futures rises above the strike price by an amount greater than the premium paid for the contract. Therefore, options traders must be right about the size and timing of the move in FCOJ futures to profit from their trades. There is no ETF that specifically invests in orange juice. However, the Elements Rogers International Commodity Agriculture Total Return ETN invests in a very broad basket of commodities. Orange juice represents less than 2% of the holdings in this fund. It is impossible to get pure-play exposure to orange juice prices through the equity market. 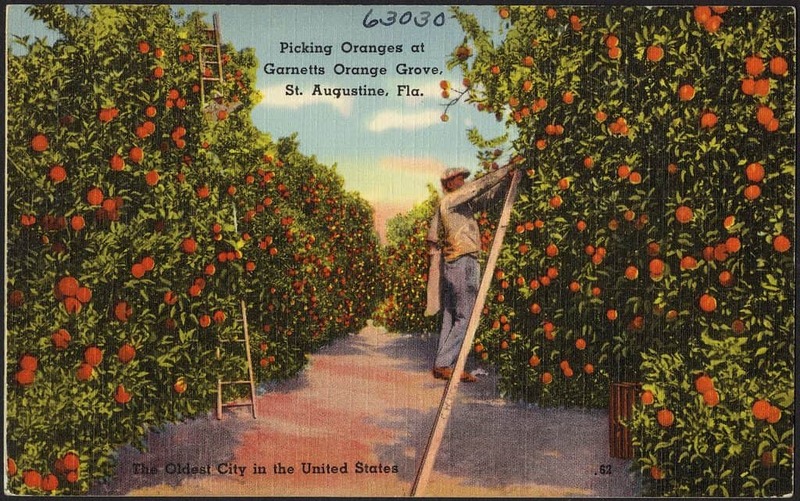 Most orange groves are privately owned. A popular way to invest in orange juice is through the use of a contract for difference (CFD) derivative instrument. CFDs allow traders to speculate on the price of FCOJ. The value of a CFD is the difference between the price of FCOJ at the time of purchase and its current price. Some regulated brokers worldwide offer CFDs on FCOJ. Customers deposit funds with the broker, which serve as margin. The advantage of CFDs is that trader can have exposure to FCOJ prices without having to purchase shares, ETFs, futures or options.